A chance encounter about 1.9 billion years ago, led to life on Earth, say scientists. 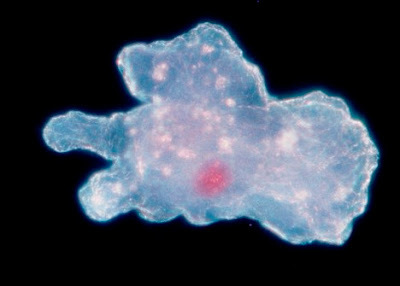 New research finds that an amoeba-like organism engulfed a bacterium that had developed the power to use sunlight to break down water to make oxygen. 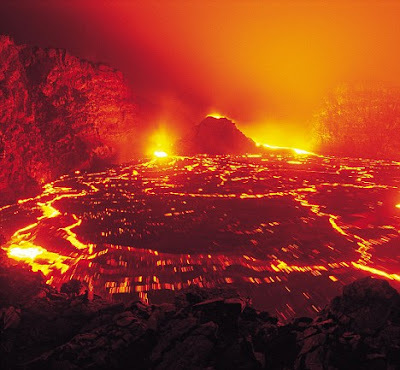 Paul Falkowski, professor of biochemistry and biophysics at Rutgers University in New Jersey says that this single event transformed evolution of life on Earth. "The descendants of that tiny organism transformed our atmosphere, filling it with the oxygen needed for animals and, eventually humans to evolve." 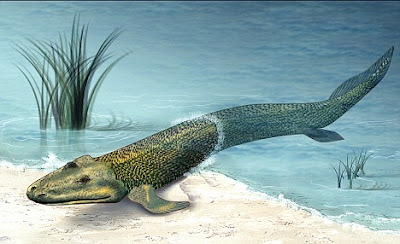 It was previously believed that such organisms existed on Earth, but the nature of the event has only become clear now, from studies of chloroplasts - which absorb sunlight and use its energy to generate nutrients and oxygen. "It is an astonishing thought that a single random encounter between two tiny cells so long ago could have had such a huge consequence," said Falkowski. Nick Lane, a researcher at University College London and author of Oxygen: The Molecule that Made the World, said this information had been emerging. He said, "Oxygen energises all life, and makes it big." "Nothing else can provide the energy needed to fuel the demands of multicellular organism. True photosynthesis evolved only once, and the chance encounter that gave rise to plants also happened just once. These were two freak accidents in the 3.5 billion-year history of life on Earth."